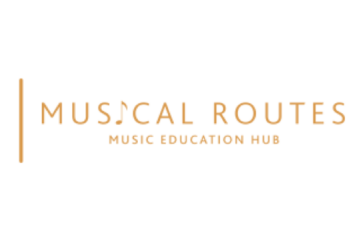 Edsential Musical Routes is looking for young musicians aged 10 to 18 for their Young Musicians Scholarship scheme. Young musicians will receive weekly tuition on an instrument and a place in a band/orchestra/music group provided by Edsential Musical Routes. We are hoping to attract musicians from complete beginners to advanced players on a wide range of instruments. Above all, we are looking for young musicians with enthusiasm for making music, the commitment to attending lessons and rehearsals and who prove that they practice at home and make progress. Young musicians will complete a practice diary to show that they are making progress through the scheme. Along the way, there will be the opportunity to take part in concerts and special events which young people will remember for the rest of their lives. We hope to attract children who feel they need music making in their lives but are possibly from families who can’t afford to fund the whole cost of tuition. Applicants need to be supported by their current music tutor (if they have one) and their school. Edsential is aiming to fund 50-100% of tuition costs and music centre membership. Awards are worth between £200 and £500 per year for each young musician. Families need to be prepared to cover the cost of travel to their local music centre each week. Edsential music centres are located in Ellesmere Port, Chester, Hartford (Northwich), Wallasey, Weaverham, Winsford and Woodchurch (Wirral). There is a finite amount of funding available so your current music tutor, or school teacher, will be asked to tell us about your enthusiasm for making music, the commitment to attending lessons and rehearsals and who prove that they practice at home and make progress in addition to musical talent/potential. If your gross annual family income is above £40,000: it is unlikely that you will be eligible to apply for funding. The deadline for applications is 29th March 2019 and we expect to announce the results by the end of May 2019. Pupils receiving lessons at music centre will be expected to join an Edsential Musical Routes ensemble as soon as the teacher recommends that they are of an appropriate standard. If the child does not attend lessons, the music group, or fails to make consistent progress (as evidenced in the practice diary), the scholarship may be withdrawn. Which Ensemble/Lessons will the bursary be used for?